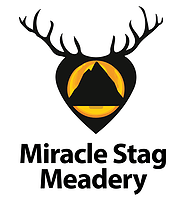 At Miracle Stag Meadery we endeavor to make small-batch mead of the highest quality for your enjoyment. All Miracle Stag meads are handcrafted with Colorado wildflower honey and water from the pristine and majestic Rocky Mountains. Mead is versatile as it is ancient and can be enjoyed in many ways. Serve it at cellar temperature, chill on the rocks, or even pour onto club soda for a refreshing spritzer. Miracle Stag Meads are mostly in the semi-sweet range and pair well with dishes featuring wild game, beef and pork and are also a fine accompaniment to cheese platters and dessert. They can even be enjoyed alone or with your favorite pizza or burger. Every palate is unique, so please enjoy your mead as you like it!